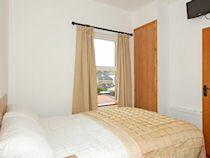 Abbington House is quiet family run bed and breakfast just outside Dublin city centre in Drumcondra. Accommodation near Croke Park is often hard to find, however, Abbington House offers good sized rooms which have en-suite bathrooms, flat-screen TVs and free wireless internet. Free on street parking is available.We are conveniently located, there is a bus stop just 100 meters from the Abbington House which provides access to the city centre and Dublin Airport. Abbington House serves a hearty full Irish-Breakfast in what is a boutique bed and breakfast. 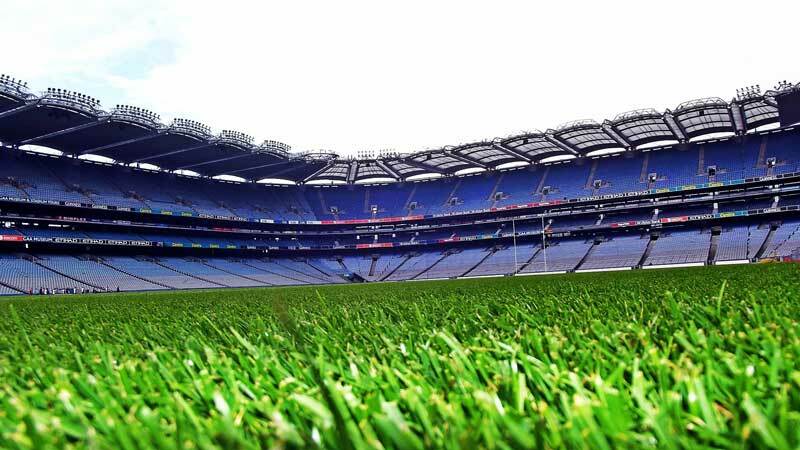 Croke Park is only a 2 minute walk from our guesthouse, so if you are coming to Dublin to support your county GAA football team or GAA Hurling team we are the place for you. 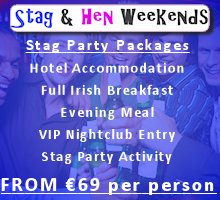 You need to book early for the GAA Finals in September as we book out very quickly. Croke Park also hosts a number of great concerts each year. Abbington House bed and breakfast, is within a few minutes walking distance from Ireland’s Croke Park GAA Stadium, which is home to Ireland’s historic Gaelic games. 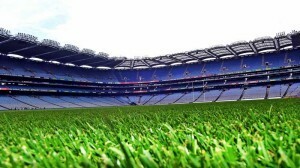 Croke Park plays host to many major sporting and music events each year, including the world famous All Ireland GAA Final. 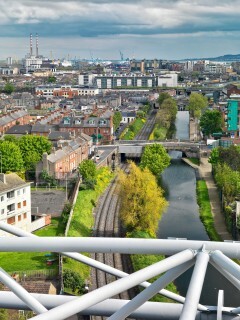 Croke Park has also developed an international reputation for its museum, which has been created to capture the journey of both Ireland and Gaelic games over these past hundreds of years. The new GAA Museum offers an un-rivaled state-of-the-art interactive visitor experience! The museum celebrates Ireland’s national games of hurling and Gaelic football. Test your own hurling and Gaelic football skills in the specially-designed interactive zone. See how fast you can react, check your passing skills and practice a fingertip save of the art of the high catch! Our experienced guides will take you behind the scenes of Ireland’s largest and most iconic sporting arenas. Take a seat in the VIP area, visit the players’ lounge and walk pitch side via the player’s tunnel. Throughout the year, particularly during school holidays, the museum offers family-based events. When the championship season is in full swing, the museum has a range of events for all, including the Bord Gáis Energy Legends Tour Series. Exclusive pre-match tours, hurley-making demonstrations on big match days and much more! Persons under 18 years of age must be accompanied by an adult at all times in the museum. Abbington House is close to one of Dublin’s favourite traditional Irish Pubs, McGraths is a pub that serves great Guinness and offers a fantastic sporting venue for all the big games. McGraths Pub has been a Northside landmark for over 50 years, and its previous owner and founder, Philip McGrath was a legendary figure in the Dublin Licenced trade, overseeing the popular bar for five decades. In recent years, Philip’s daughter, Ann Marie has overseen the development of McGraths from a very traditional pub into a modern, 21st century establishment while still remaining true to its heritage. 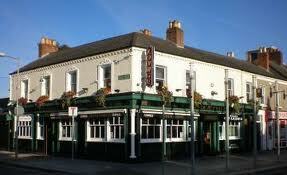 The 2005 version of McGraths is approximately four times the size of the original public house and remains one of the busiest pubs in the Dublin area on summer Sundays with patrons from nearby Croke Park enjoying its hospitality before and after the big GAA games. Today, McGraths continues to provide only the best in good drink and fine food. An extensive Lunch Menu is available Monday to Friday from 12.30 to 3pm, while, for the sports fans, all Live Sports are available on the extensive Plasma Screens. We are close to many of the top Dublin Attractions and the top Dublin Venues such as the O2 Arena Dublin and The Aviva Stadium. 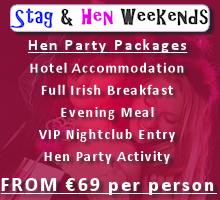 Interested in a tour further in to the Irish Countryside? We can help you with recommendations, suggestions and assistance with the booking to most regions of Ireland, from the Cliffs of Moher to the Ring of Kerry. Please ask at reception, it will be our pleasure to help.